Take pleasure in the captivating glow of this decorative fire pit or of its warmth on those colder evenings. SKU: FB6540. Category: Outdoor Living. 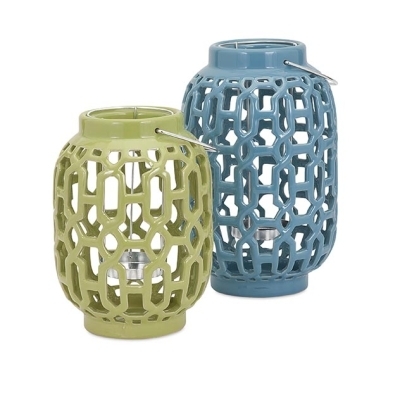 Take pleasure in the captivating glow of this decorative fire pit or of its warmth on those colder evenings. 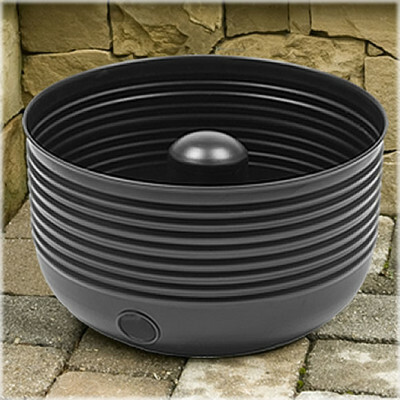 The Round Bravo Fire Pit is made of heavy construction that will last for years. It has mesh inserts for the sides of the pit. This sturdy fire pit comes in a classic black finish and includes a screen and a vinyl protective outdoor cover for added safety. 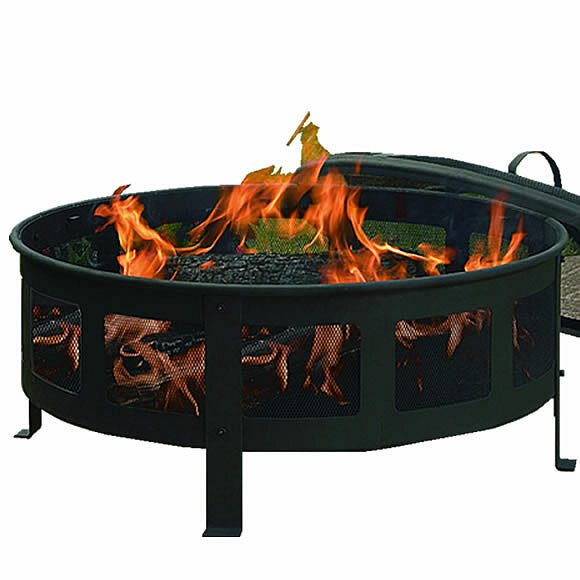 This round fire pit is perfect for a small cozy get-together on your patio or for adding to the atmosphere of a larger party or celebration.